What will it take for Charles Barkley to give Steph Curry the credit he deserves? DIME: We saw in the early 2000s with Shaquille O’Neal that it was obvious that he was going to score – just with his sheer power, size, and skill. It was kind of the same with you in the early 1990s, too. Does Steph compare to that at all? That feeling of inevitability you guys provided at your peak? 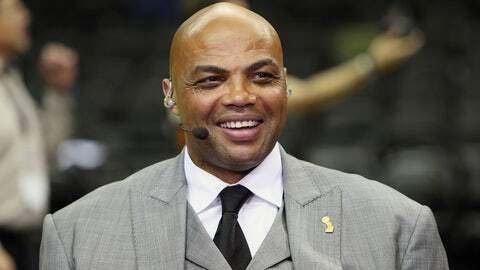 Charles Barkley: He’s just a great shooter. It’s a totally different animal. But he’s more than a shooter, right? Because he’s – No. He’s not more than a shooter. He’s just a great shooter. So he’s not an incredible playmaker? Doesn’t make the game easier on his teammates? Stuff like that? I wouldn’t say that. But he’s not a great playmaker. He’s just a great shooter. So, is Curry "just a shooter"? If you’ve ever watched him play, you know the answer is "no." According to Basketball-Reference, just over 20 percent of all his field goal attempts occur within three feet of the hoop, and he’s making a career-high 68.9 percent of them. His free-throw rate has never been higher, and his 6.9 assists per game career average is sixth highest among all active players. Curry’s handle is that of a magician, and he’s able to get wherever he wants, whenever he wants, however he wants. No disrespect to Steve Novak, but that guy is "just a shooter," someone who stands in the corner and melts into a puddle when asked to do anything but launch wide open jumpers. Curry is a transcendent all-around talent who just so happens to be the best shooter the sport has ever seen. He deserves applause every second of every day—not doubt.